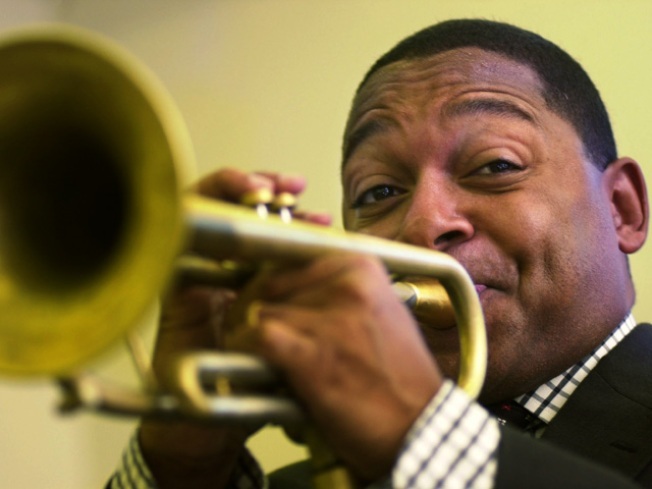 PEDIGREE: The National Endowment for the Arts’ Jazz Masters Awards Ceremony and Concert should be filled with especially warm vibes tonight at Lincoln Center: Among those being honored is the entire genetically-blessed Marsalis family: Ellis, Jr., Branford, Delfeayo, Jason and of course the Pulitzer Prize-winning Wynton, artistic director of Jazz at Lincoln Center. The family will perform together, too; what a treat. Rose Theater, 7:30PM. NICE BUNS: Finally, the North Brooklyn crowd won’t have to brave the L to satisfy their Crif Dogs jones: The cultishly-loved East Village frankery has expanded with a Williamsburg branch on Driggs Avenue at North 7, and it opens this week. Nothing beats the January blues like a bacon-wrapped hot dog and some vintage videogames. 555 Driggs Avenue, Williamsburg, Brooklyn; 718-302-3200. GET SCHOOLED: Since closing her cultishly-loved venues Kitchen Club and Chibi’s a year ago, Dutch-born NYC chef-restaurateur Marja Samsom has reinvented herself as the Dumpling Diva (seriously, she even Twitters as @dumplingdiva) and launched the Dumpling Academy to school you in all things dumpling. At tonight’s class, the Academy transforms into an après-ski chalet; you’ll learn how to prepare a Fondue Dumpling (cheese and booze are involved) and get a crash course in Armagnac, courtesy of sommelier Chantal Ducler. 67 Clinton Street (register here), 7PM.